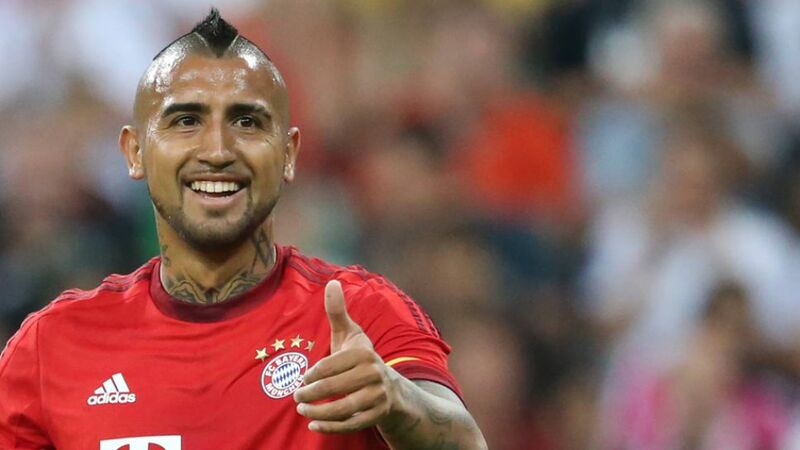 Munich - He may have only played 45 minutes as reached the final of the Audi Cup with a 3-0 win over AC Milan, but new a FC Bayern München signing Arturo Vidal could scarcely be happier about his gradual integration to a new team, a new coach and a new tactical system. Arturo Vidal: "Everything’s great. I was in the starting line-up and I’m gradually getting more and more rhythm, so I’m happy, especially as we played well and won. It was great to play my first game here [at the Allianz Arena]. It was exciting to play in this stadium in front of all the fans. Everyone’s welcomed me really well. I felt good playing in a more advanced role. I’ve played there for Juventus and the national team too, but like I said before it’s good to get some rhythm. We’ve got another game tomorrow and I’m happy because I’m playing. I get on well with all my team-mates and I’m adapting pretty quickly. I hope to keep improving with every game. I’m very happy to be taking free-kicks, penalties…everything! (Laughs) I’m happy that my team-mates and the coach are putting their trust in me. My family’s not here with me yet but they will come. At the moment I’m just focusing on training hard. I had a couple of chances but I wasn’t able to score. This year I’m going to try to score more than ever before because we create so many opportunities and the guys put in good crosses." First win! Now to recover for tomorrow! Douglas Costa: "I feel good here. Ever since I arrived here my team-mates welcomed me and they’ve helped me so that I can play out on the pitch. I don’t have any problem playing in different positions, either on the left or on the right; it’s something normal for me. We’ll have to give our all out on the pitch against Real Madrid. I’ve always been a fast runner. I don’t think I’m quicker than [Arjen] Robben or [Franck] Ribery, we’re all fast and that’s good for the team."